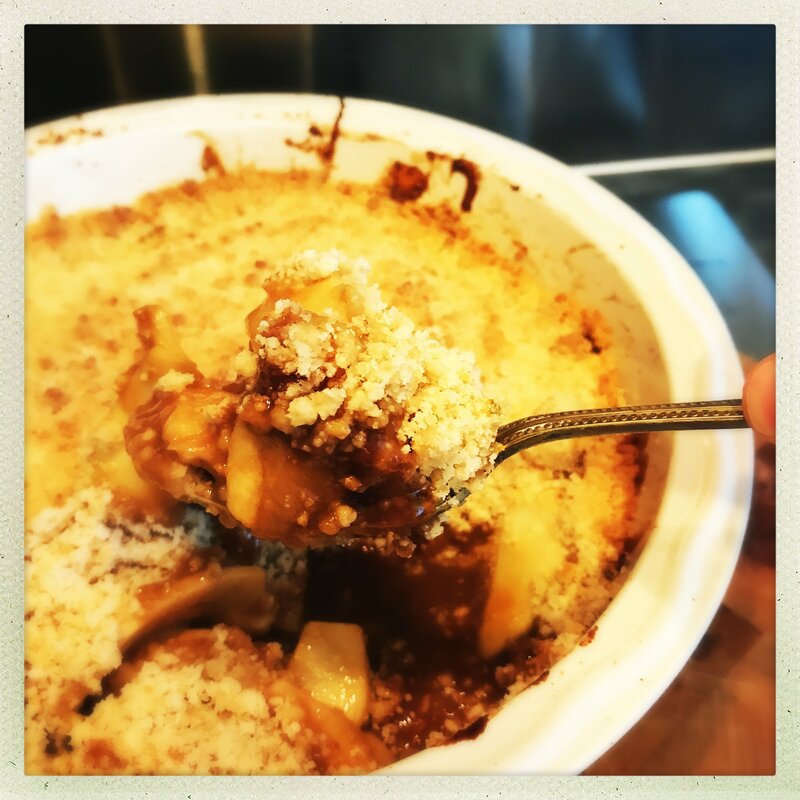 This is the easiest, cheat’iest apple crumble ever! 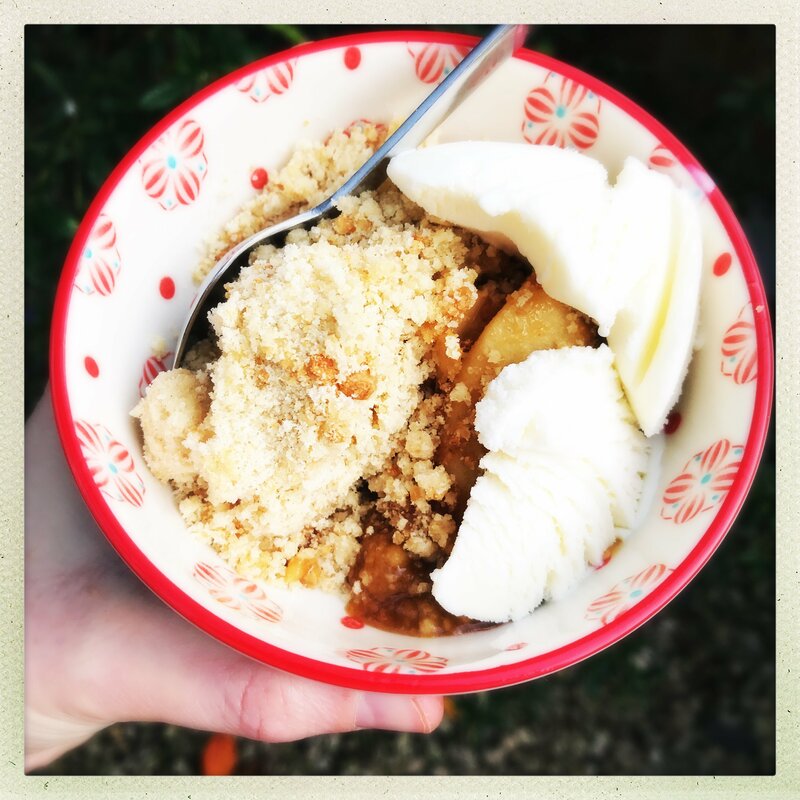 Beautiful tangy Bramley apples, sweet and sticky toffee sauce and the easiest crumbliest topping. 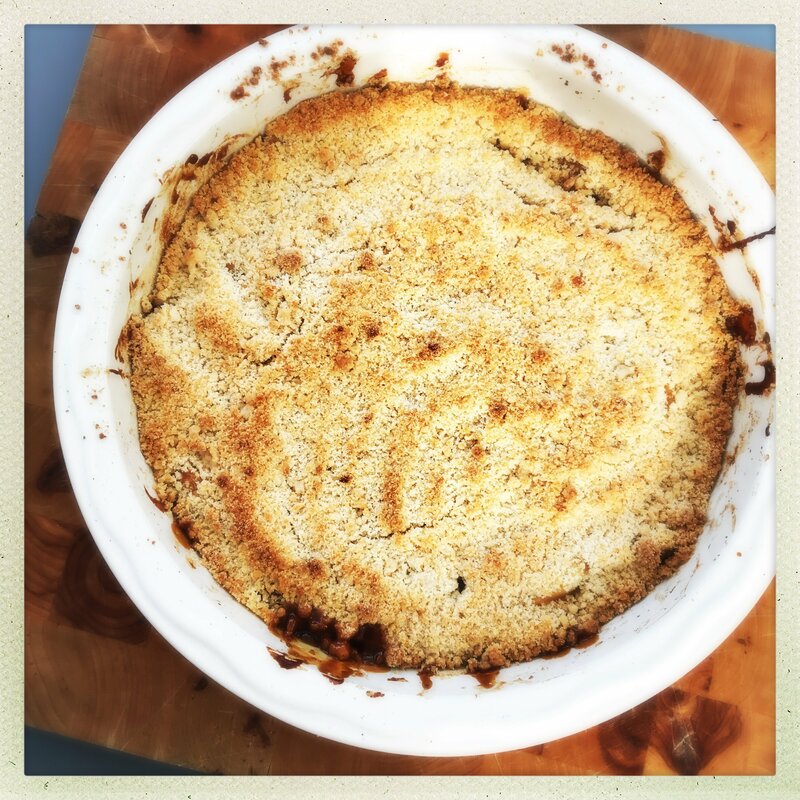 It’s quick to make, tastes like you spent a whole lot longer over it and is great for serving after autumn dinners or at Bonfire Night parties, drizzled with custard. 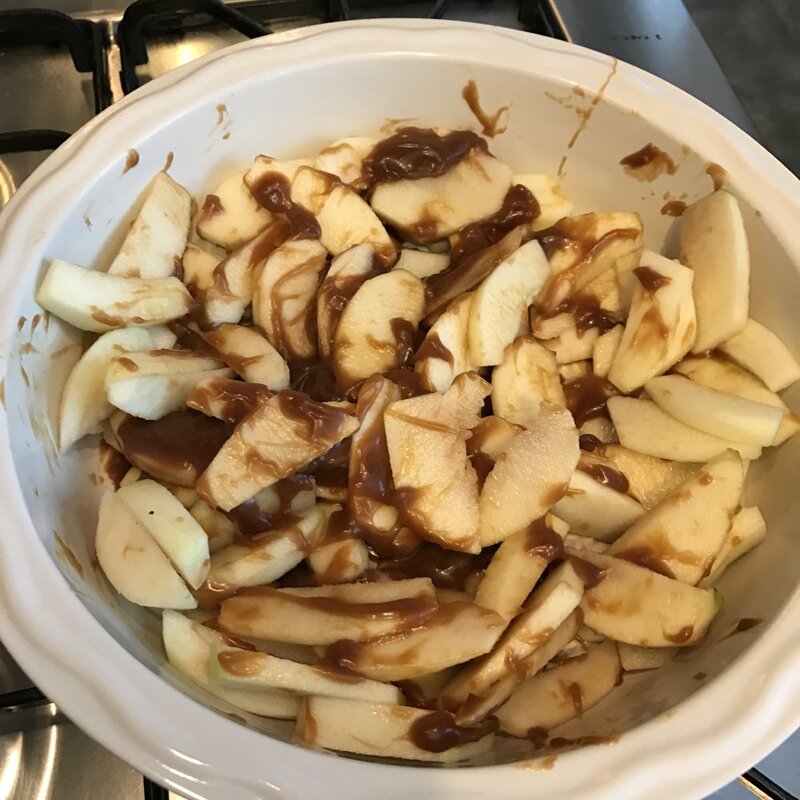 Bake in the oven for around 25-30 minutes or until it’s golden on top and the toffee apple filling is oozing through. Delicious with custard, vanilla ice cream or a dollop of proper Cornish clotted cream. 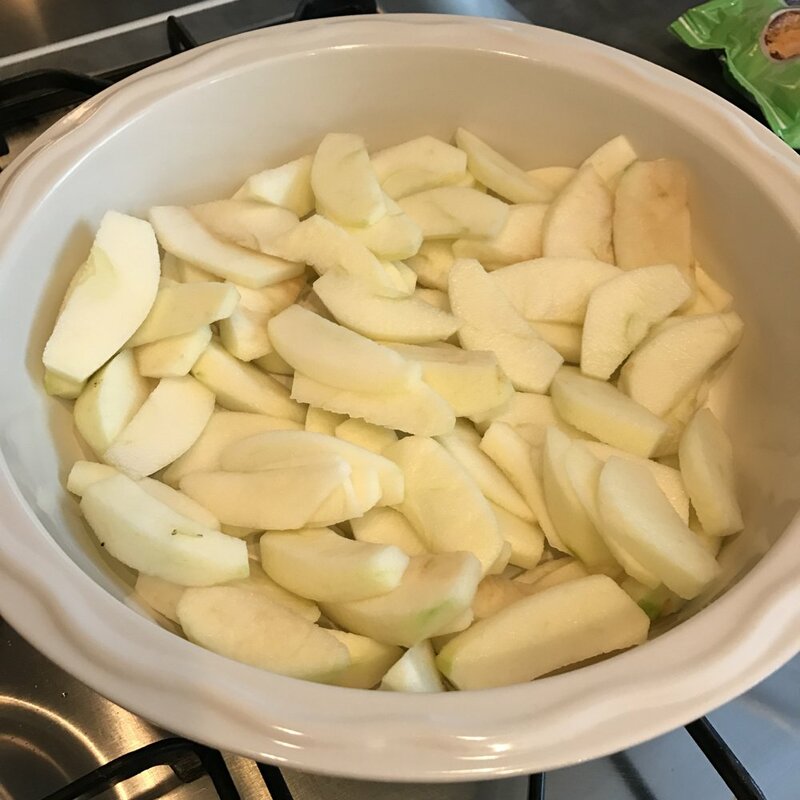 Thinly slice the apples into a pie dish. 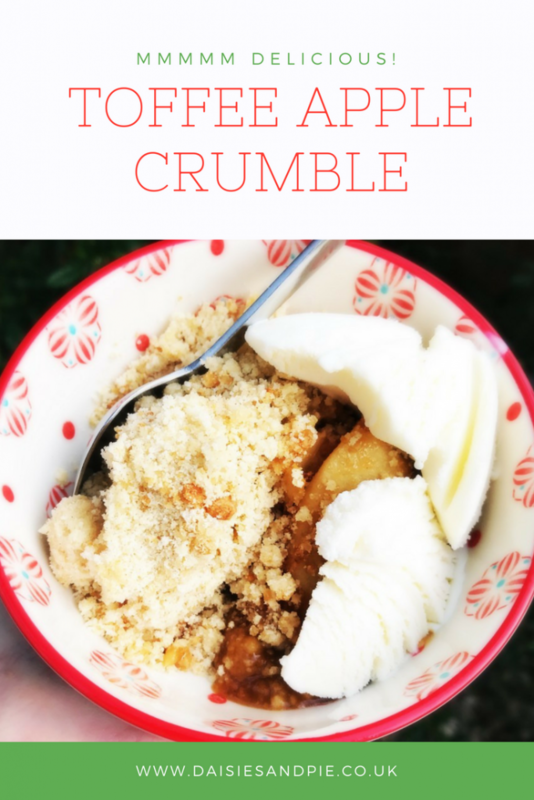 Scatter over the crumble topping. Bake in the oven for 25 - 30 minutes until the crumble is golden and the sticky toffee apple filling oozing though. use any apples you fancy. add sliced pears in with the apples. 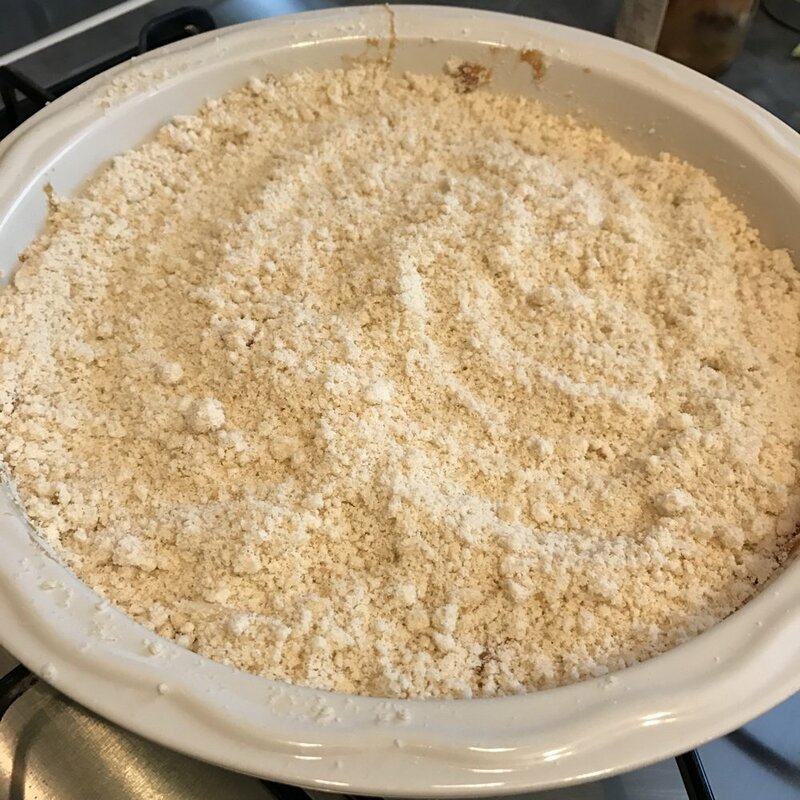 add a handful of oats to the crumble topping. perfect dessert for after Sunday dinner, with loads of custard or cream. great for Bonfire Night parties.